Global warming; it’s not about science, it’s about M.O.N.E.Y. 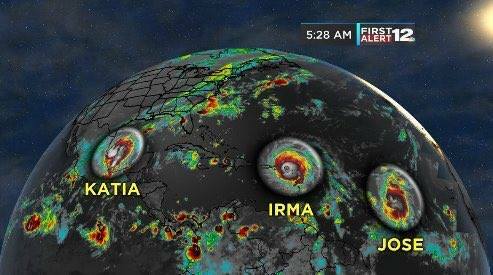 Three massive hurricanes at one time. 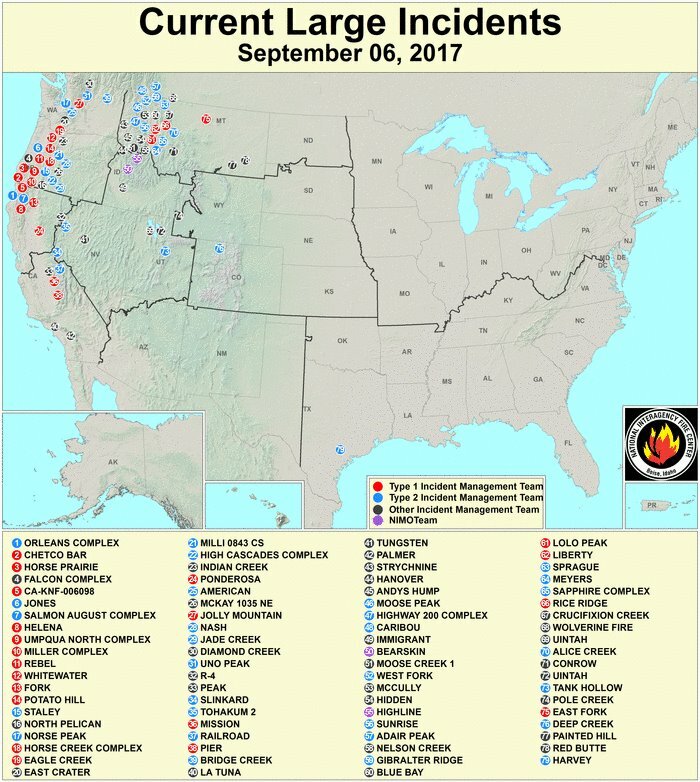 Massive wildfires throughout the west. Add that to shrinking ice caps. Global temperature rise. Warming oceans. Shrinking ice sheets. Glacial retreat. Decreased snow cover. Sea level rise. Declining Artic sea ice. Extreme events. (see, NOW.) Ocean acidification. • Average temperatures have climbed 1.4 degrees Fahrenheit (0.8 degree Celsius) around the world since 1880, much of this in recent decades, according to NASA’s Goddard Institute for Space Studies. • The rate of warming is increasing. The 20th century’s last two decades were the hottest in 400 years and possibly the warmest for several millennia, according to a number of climate studies. And the United Nations’ Intergovernmental Panel on Climate Change (IPCC) reports that 11 of the past 12 years are among the dozen warmest since 1850. • Glaciers and mountain snows are rapidly melting—for example, Montana’s Glacier National Park now has only 27 glaciers, versus 150 in 1910. In the Northern Hemisphere, thaws also come a week earlier in spring and freezes begin a week later. And yet, the White House leads the Republican party in their absolute refusal to belief in ANY of it. Why? How can they be so blind? Sorry for the lengthy post, but I consider our environment/climate one of the biggest issues (if not THE biggest) facing not only our country, but our planet. It deserves some face time. I hope the Democratic party can find a spokesperson who can rise about the mud and rhetoric and drive home reality and science. Otherwise…. This entry was posted in Climate, environment, global warming and tagged Climate, environment, global warming on September 8, 2017 by Silver Willow. ah, we had one Al Gore, who is now saying, I told you so, I told you so…. Wow, when you come back to blogging, you really do it big time. What a meaty and timely post. Thank you! I fully believe the people who push climate science denial are the most selfish and self-centered people on earth. I'm so disgusted with them and those who are letting others lead them around a like sheep on this. Have you heard what Rush Lame-Brain is saying about Irma? He's saying it's manufactured-hype to help CNN's ratings and sale evacuation products. Jean, thanks! Re Rush L., I stopped hearing him decades ago. What an imbecile. I could not agree with you more. Great post! People can deny it all they want; it makes no difference. Mother Nature will continue to wreak havoc. an inspirational wake up call. but i'm thinking too late. I live in a state run by the oil glutton morons who publicly stand and say it's a HOAX. they are the most ignorant of them all. big oil is paying every year to re-elect them. and of course now a home-boy of ours… scary Pruitt is in the hen house. So sorry, my sweet friend. I just don't know what can be done, except stand up to (and not roll over for) the village idiots. Time will bear us out, unfortunately. All we can do is our best, and hope for the best. It is too late. We are screwed. Greed of the politicians and big business and the ignorance and gullibility of almost half of the citizens ( who voted for Trump) have won. 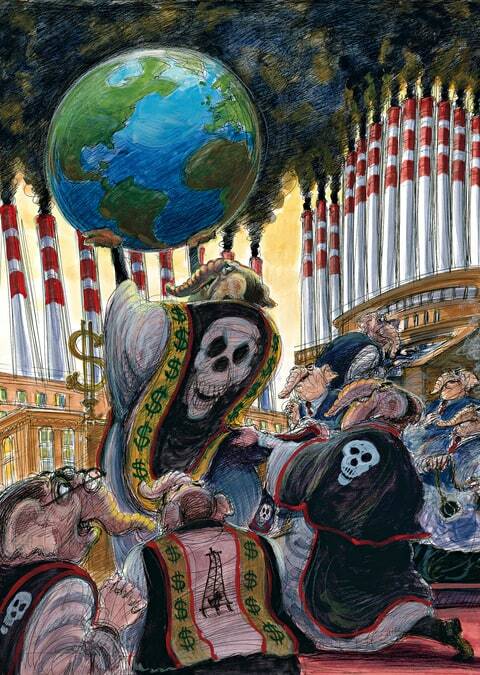 Of course what they will win in the long long run is a wasted changed planet where money won't count for much by then. But we all pay the price especially the next generations to come. Just imagine if climate change or even the basics of climate were taught in school. I know I sound gloomy but I've come to these feelings in the last months after not only seeing him elected and all he spews out, but seeing his worshipping base that I really can't wrap my mind around…..their minds. I find the denial of science, which is as close as we can get to truth, to line their pockets, is somewhat despicable. I recently read that all of the 3% of the science papers that deny climate change have been found to be flawed. While I don't know if it is true, I suspect that it is. A really excellent recap of the situation relative to climate warming and/or climate change. The individuals who need to process this information probably won't, but even if only one does that's positive. Often money is at the root of issues that defy common sense and the obvious. I think it's important to keep stressing the facts as you do here. I only hope enough people grasp the truth so mankind makes necessary changes in our behaviors. We are losing so much. People will not be able to put their lives back together. Too much has been destroyed. We needed big solutions to big problems, but none have been implemented. It really is too late. As the Germans say, rescue yourself if you can. We will have to agree to disagree on the unrecoverability, my friend.